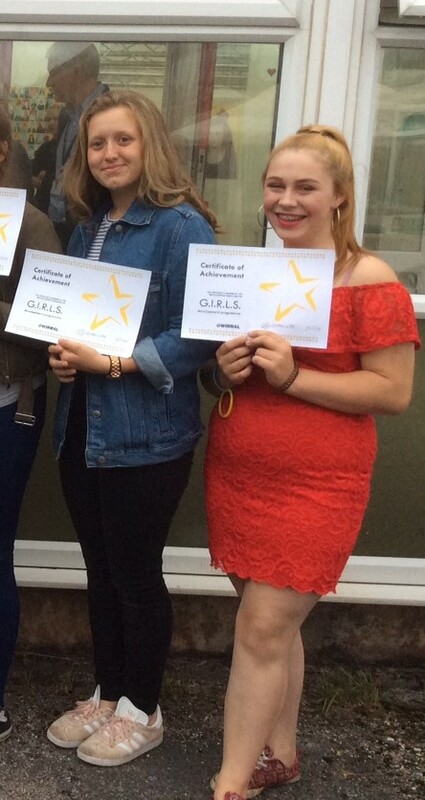 The Red Carpet was rolled out for Eva, Grace, Courtney, Jessica, Jess, Lani (pictured here with their certificates) and Whitney when they attended an evening to celebrate the end of their GIRLS song-writing and singing project. The evening was attended by four secondary schools and our school organiser Miss Dunbar says she was proud that our students – the only ones – gave a vocal performance. They sang two songs – one a South African folk song, and the other, ‘This is Me’, from The Greatest Showman. Also attending was Paul Boyce, Director of Children’s Services, who remarked on the girls’ confidence during the whole show. Year 9 student Lani, together with Jess, delivered a speech she had written of the confidence and happiness it had given her. The second Year 9 celebration was at the Viking Centre, Rock Ferry, for the Utopia Confidence Building Project that has been running for the last 7 weeks. 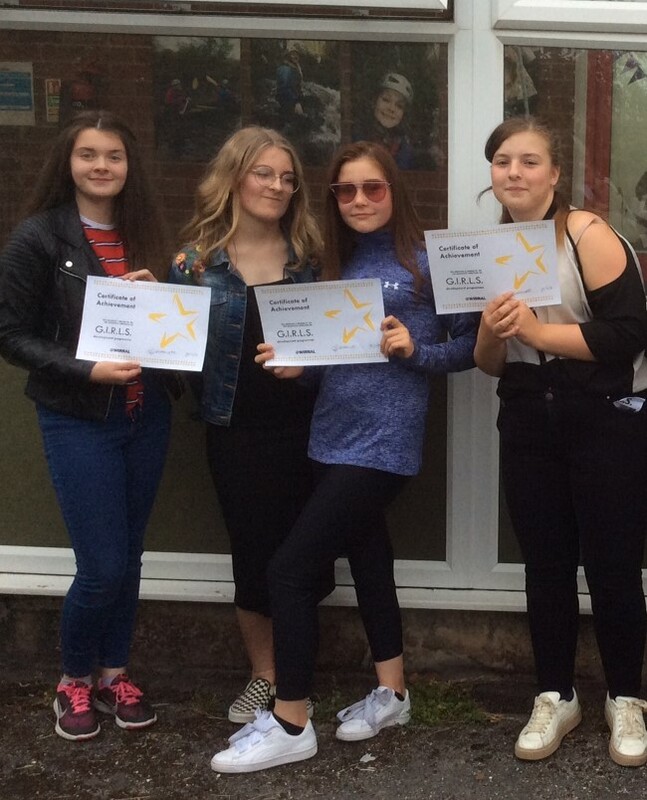 The girls were treated to pizza and drink, received their certificates, and watched a film put together by Utopia recording all the fun they had had and skills the project had given. Congratulations to: Aalayah, Whitney, Lani, Courtney, Molly, Leah, Lucy, Phoebe, Fay and Arwen. Miss Dunbar, Student Services, said that feedback for both projects has been extremely positive – our students were keen to participate in more projects like these when they became available. Well done to you all – you have made us very proud of your hard work and achievements! Next Post Afternoon Tea is about to be Served!